Owned By: University of Vermont Morgan Horse Farm. Filmed in: Weybridge, Vermont, USA. In 1789 a bay colt named Figure was born. A colt that would become the founding stallion for an entire breed. He became known by his owner's name: Justin Morgan. Standing just over 14 hands, Justin Morgan's horse was powerful and strong. He was known to out trot, out run and out pull any horse he was put against. They used him a lot for breeding and they found that his offspring looked and acted just like him, it didn't matter what mare he was bred to. ~ Hannah Bevilacqua from the University of Vermont Morgan Horse Farm. 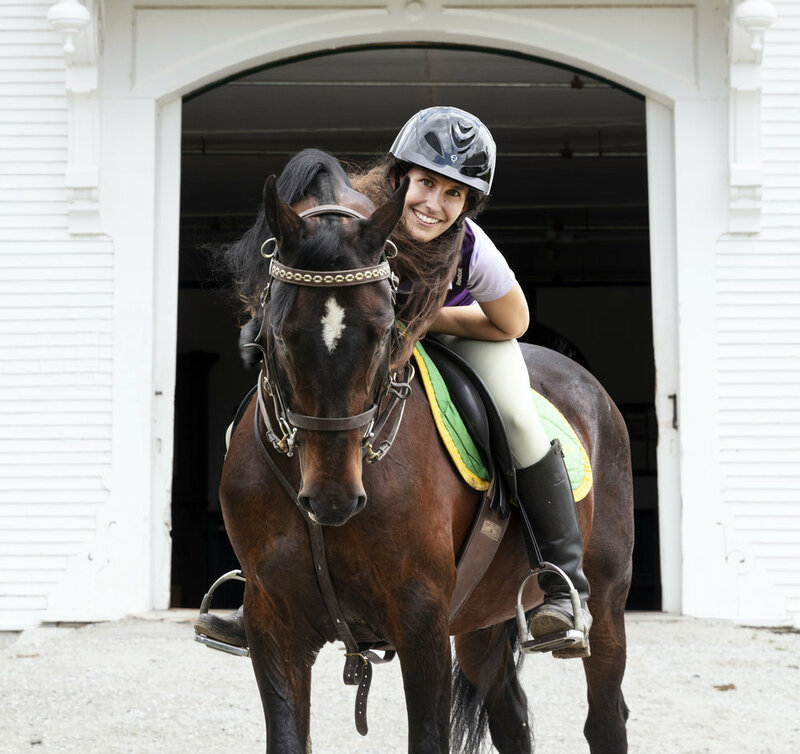 They are the official state animal of Vermont, and the official state horse of Massachusetts. The registry motto is, “The horse that chooses you.” With over 80,000 registered Morgans, living in several different countries it looks like a lot of equestrians have liked that choice!